Jo and I got started early this morning. The SANCCOB staff had asked us to be there on time so we could have our orientation and be present for the morning group meeting. As we made our trek to the center, we continued to exchange stories about what expectations we had for the day. I filled Jo in on the layout of the facility so she would have a good idea where things were. Back to penguin basics! My assignment for the day was to be in the main staging area and help prep materials. 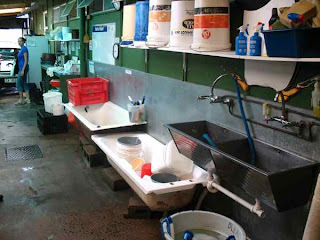 I was asked to make sure that all of the buckets, feeding trays and feeding syringes were kept clean. Sounds easy, huh?…not really. The dirty dishes would come in waves. If you didn’t stay on top of them, then there could be a big pile up. The dirty materials would be set in one basin, washed, and then transferred to the adjacent rinse basin. After being rinsed, each item needed to set back in its proper place so that the staff could easily find them. The feeding syringes also needed to be washed and disinfected for specific intervals. I was literally hopping from one place to another all day. My volunteers back in Boston would have been proud. Another task I had was helping make penguin chick fish formula. Imagine giant pitchers of puréed sardines, water, and vitamins. Yummy! The smell was quite unique. Hoped the penguin chicks enjoyed it! All in all, it was a fun day! 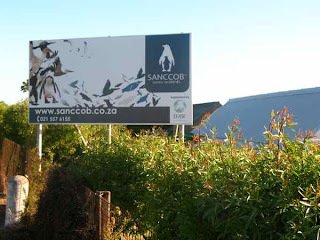 Click here if you're curious about SANCCOB. South Africa #10: No Rest for the Wicked! South Africa #9: Why Go to Dassen Island? 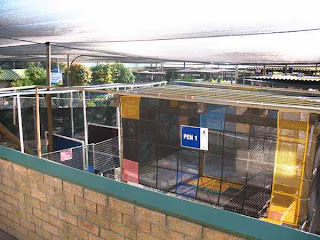 South Africa # 7: Goodbye SANCCOB and Thank you! 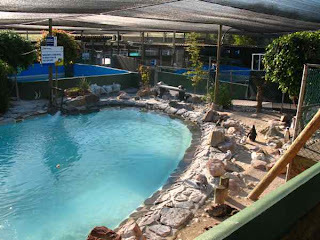 South Africa #5: Webcast from SANCCOB!